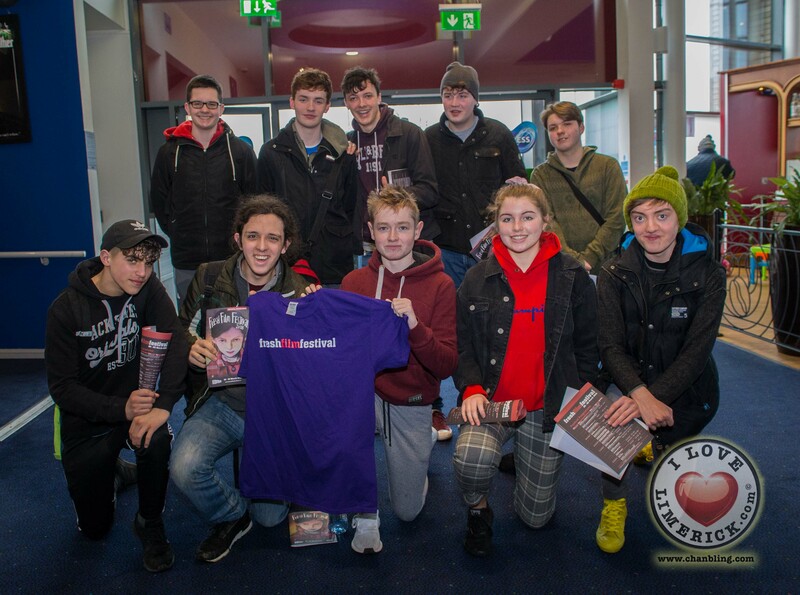 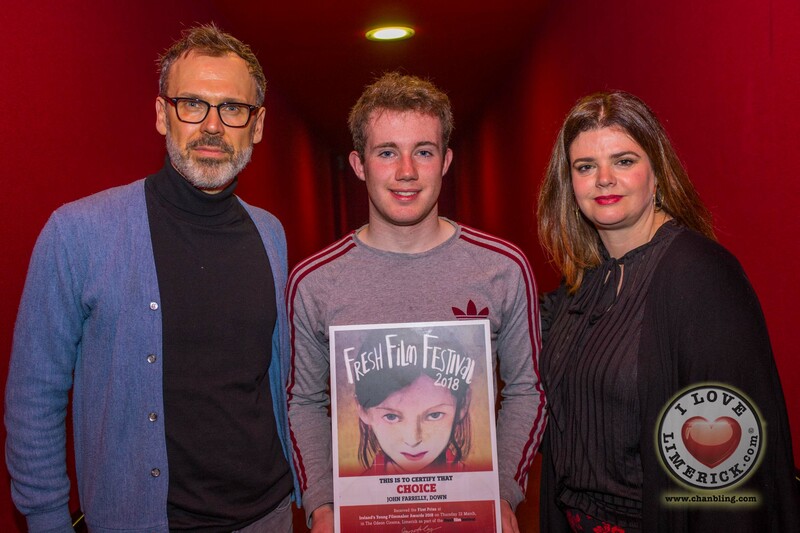 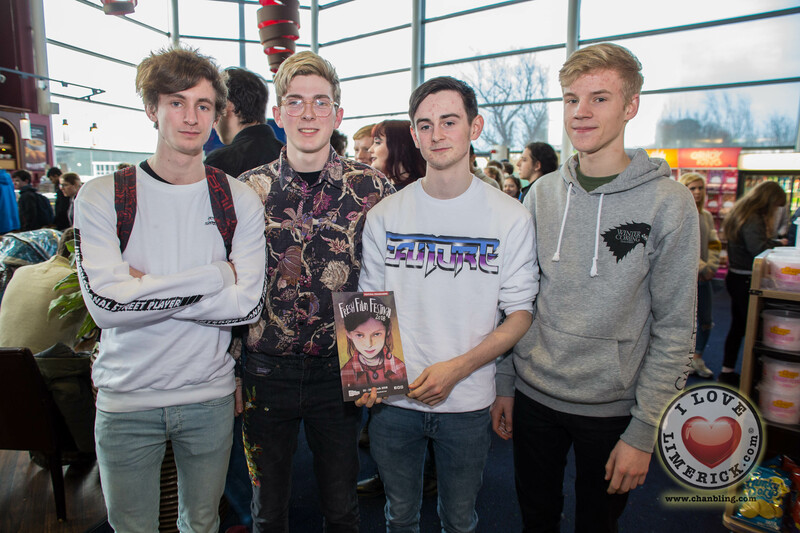 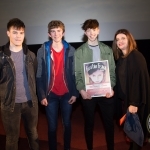 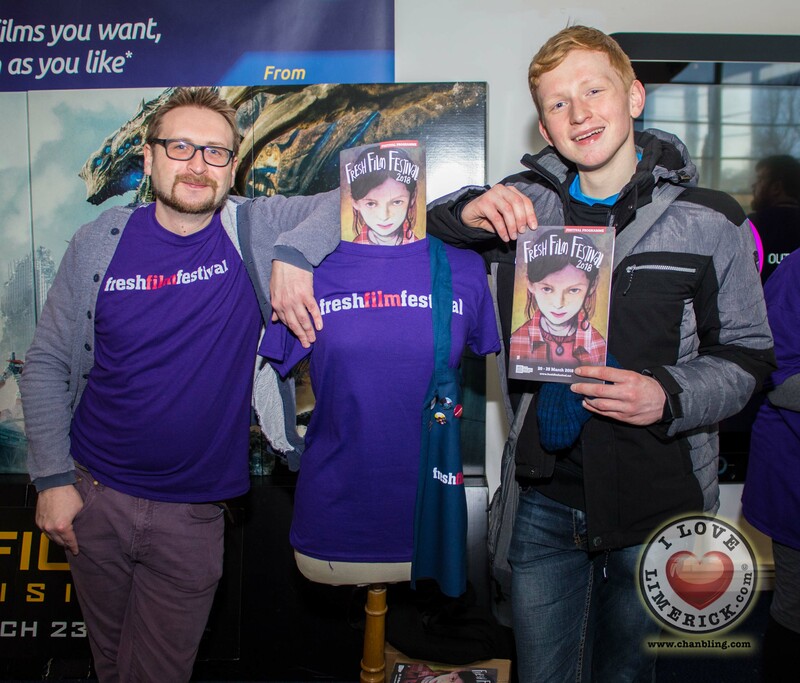 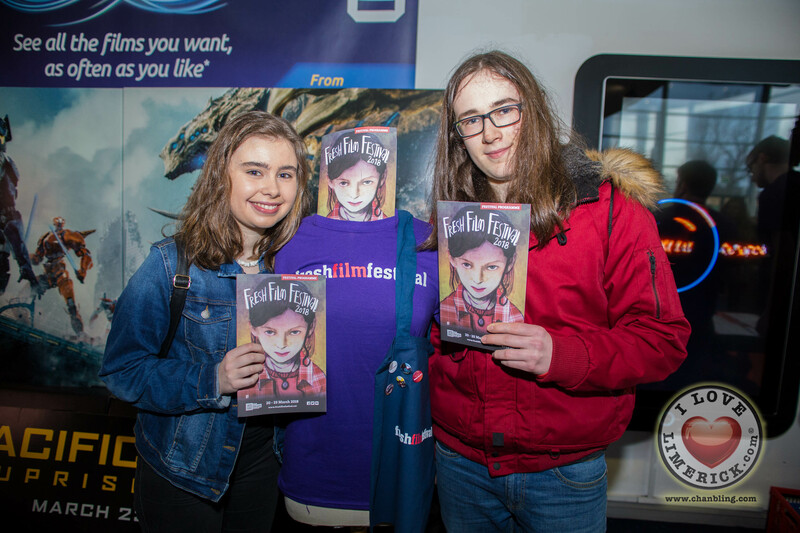 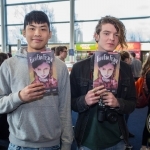 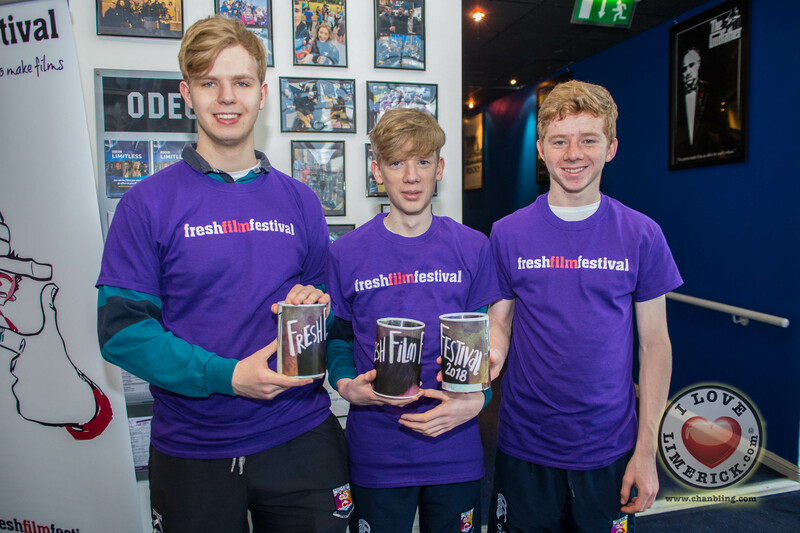 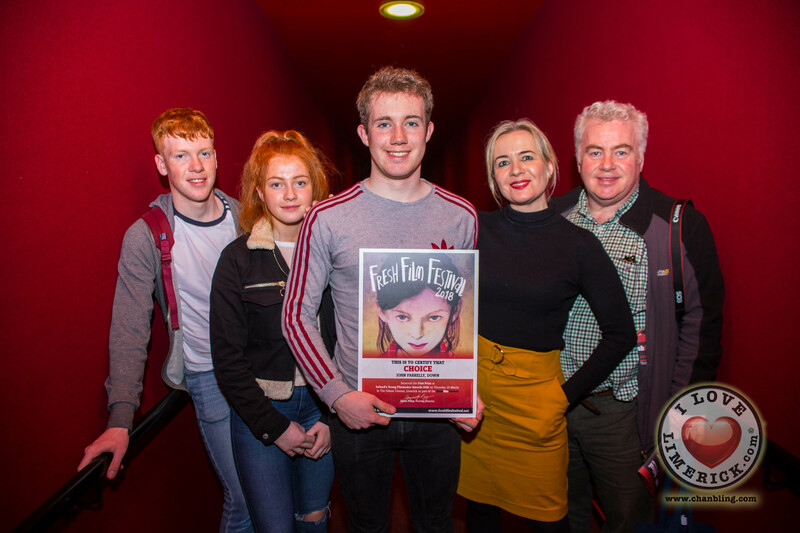 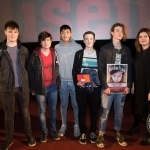 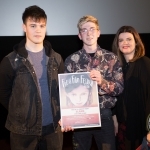 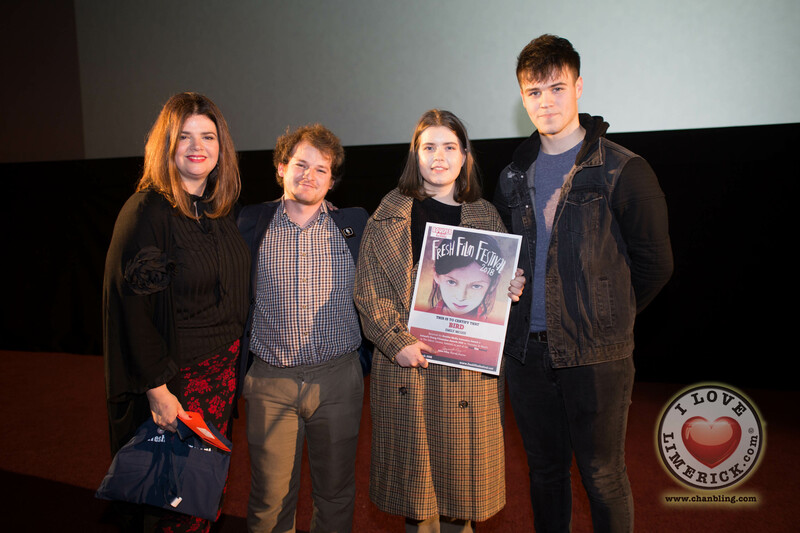 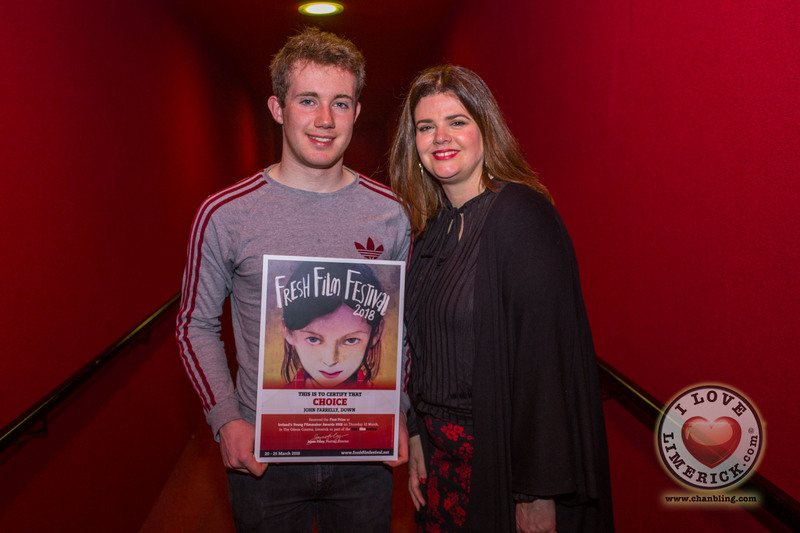 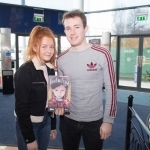 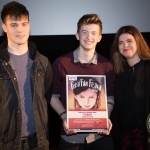 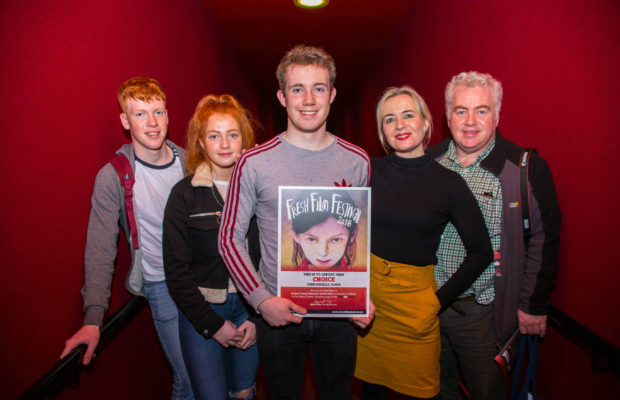 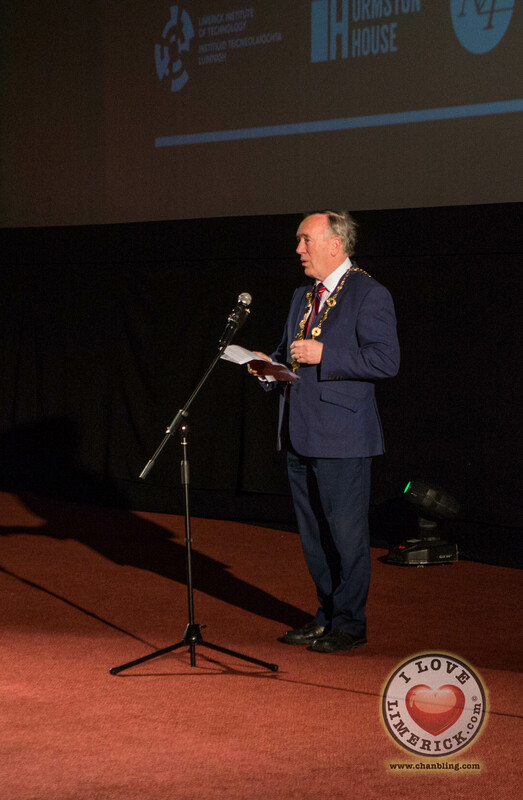 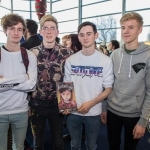 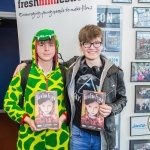 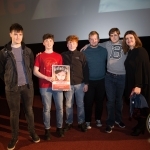 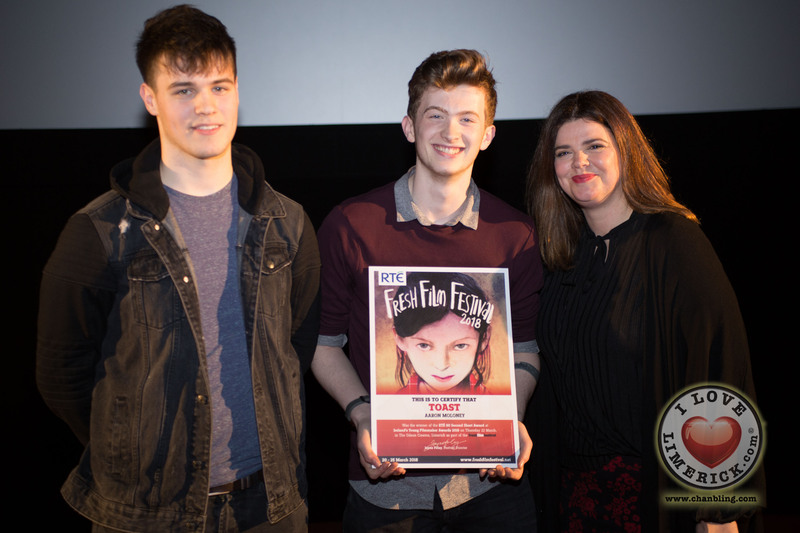 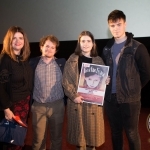 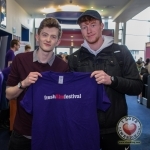 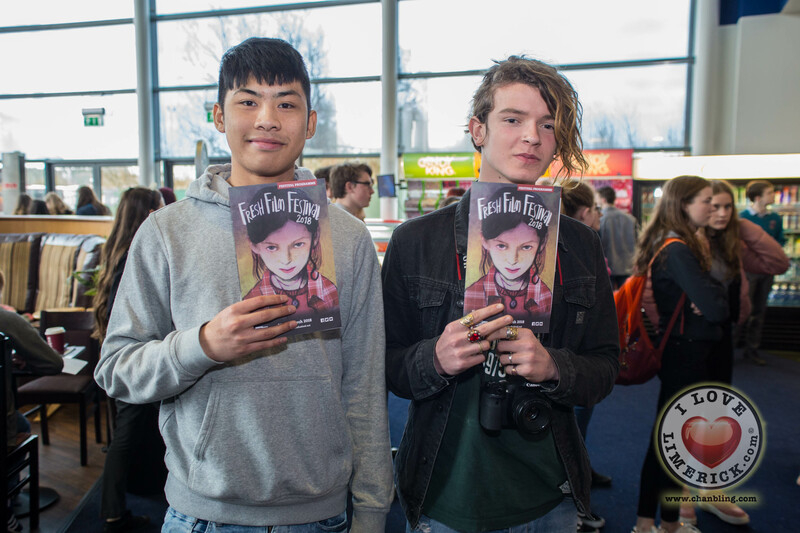 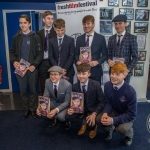 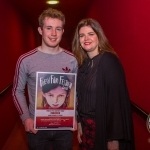 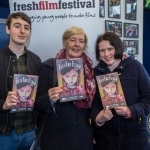 Ireland’s Young Filmmaker of the Year 2018 Senior finals announced its winners at the Fresh Film Festival 2018 in Limerick on Thursday, March 22. 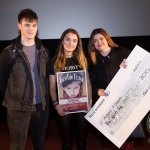 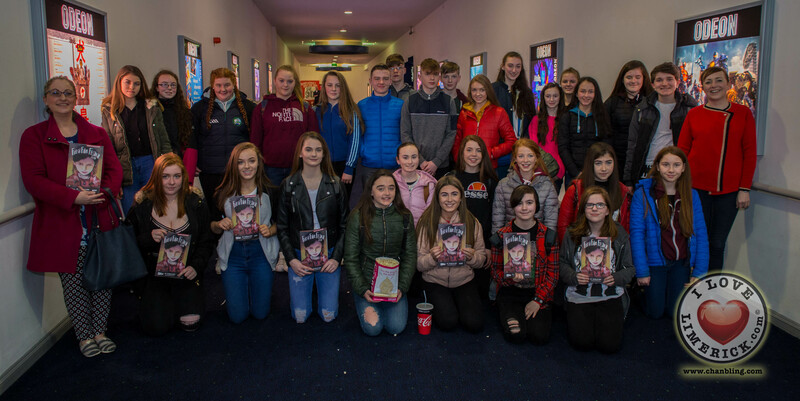 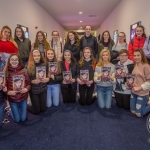 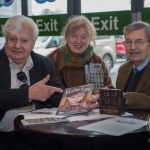 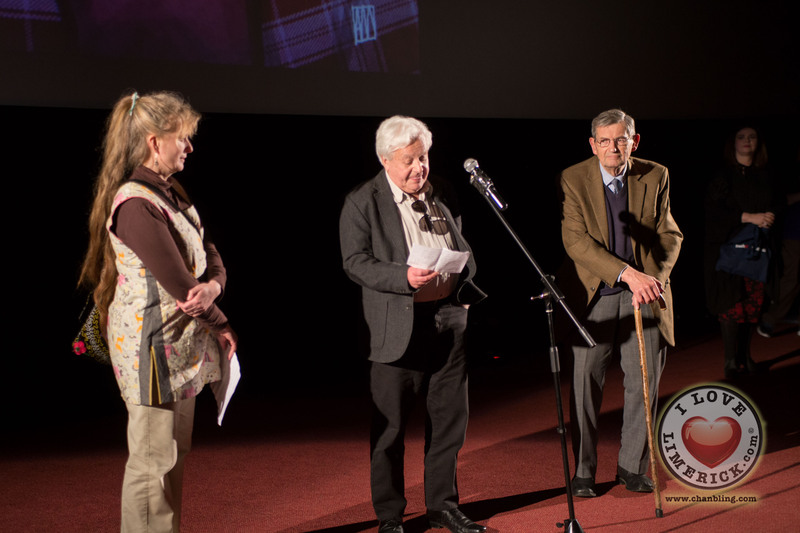 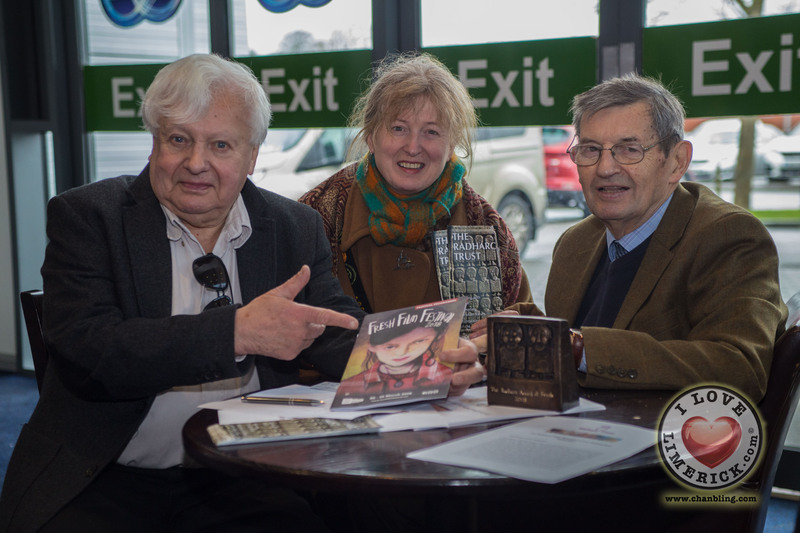 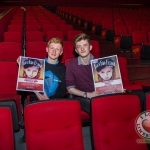 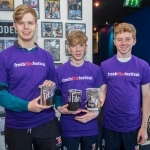 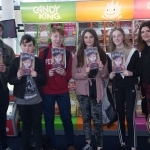 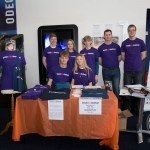 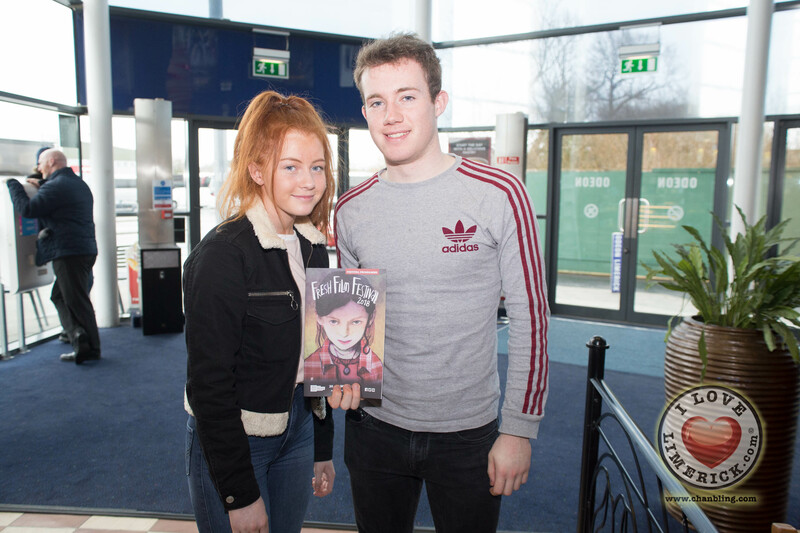 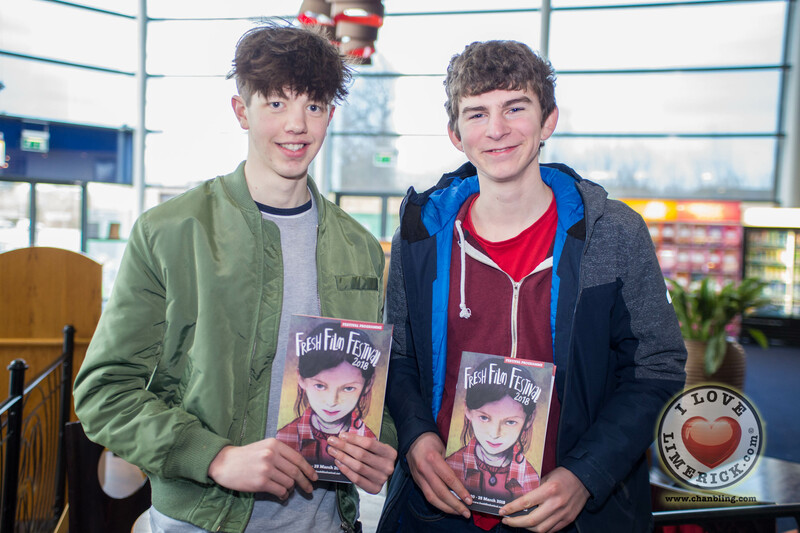 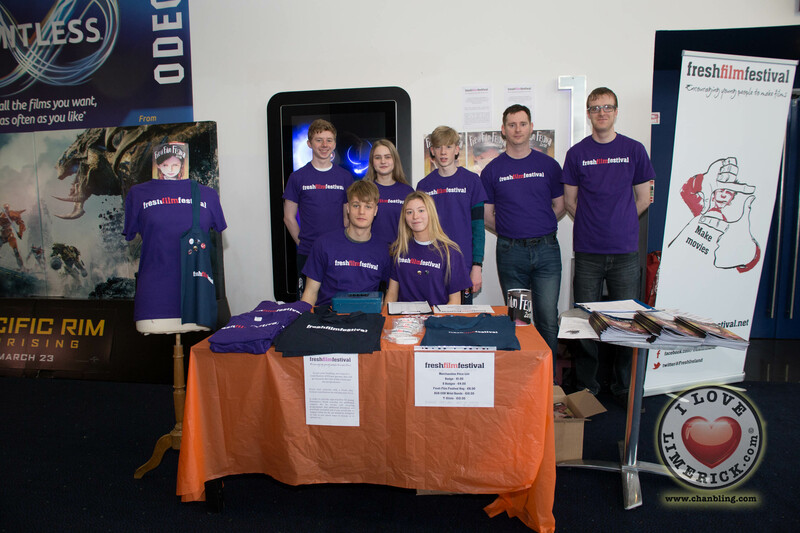 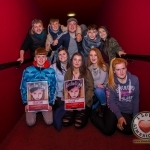 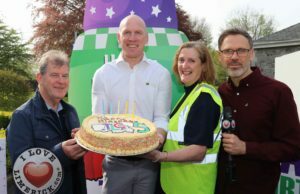 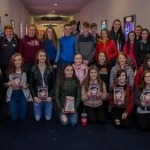 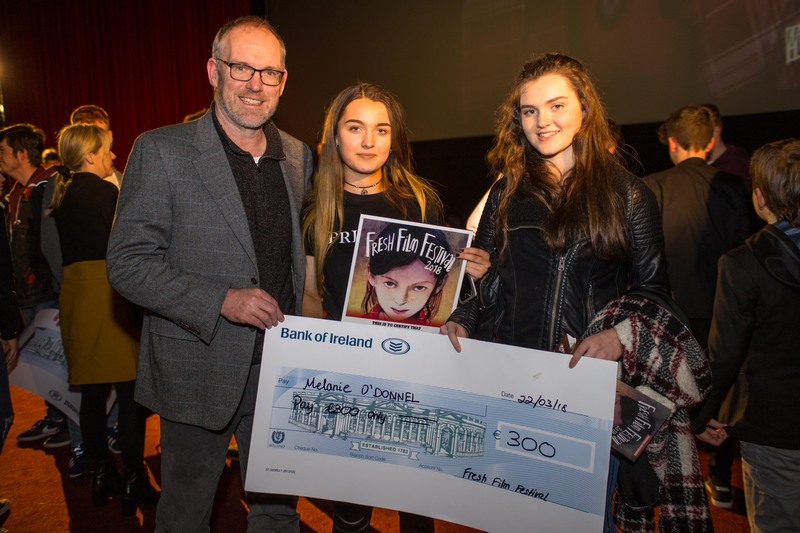 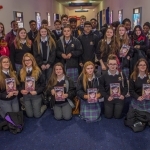 The competition, which received a record of almost 1,500 entries this year, announced the winners at the Odeon Castletroy. 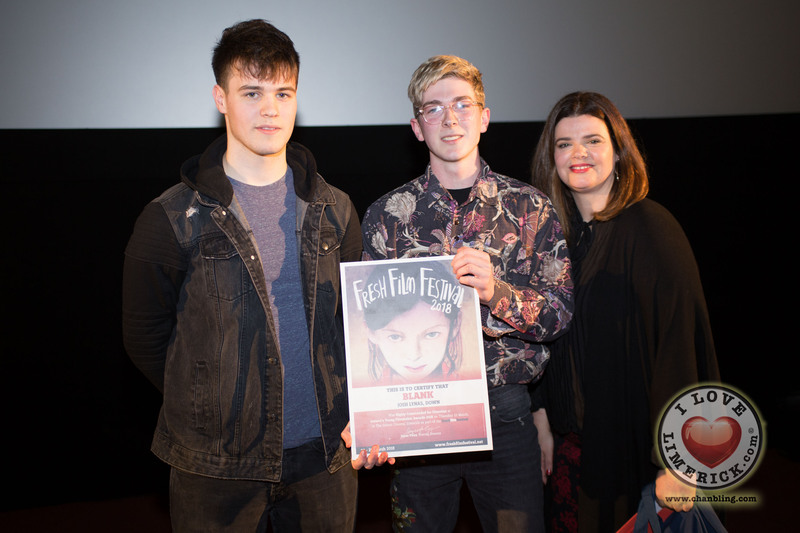 Limerick winners included Melanie O’Donnell, from Limerick aged 18 took home third place for her film ‘Catharsis’ and Luke Culhane, aged 15 from Castletroy who took home the RTÉ Factual Award for his film ‘What’s Your Story?’. 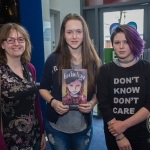 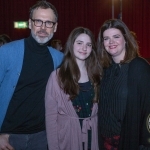 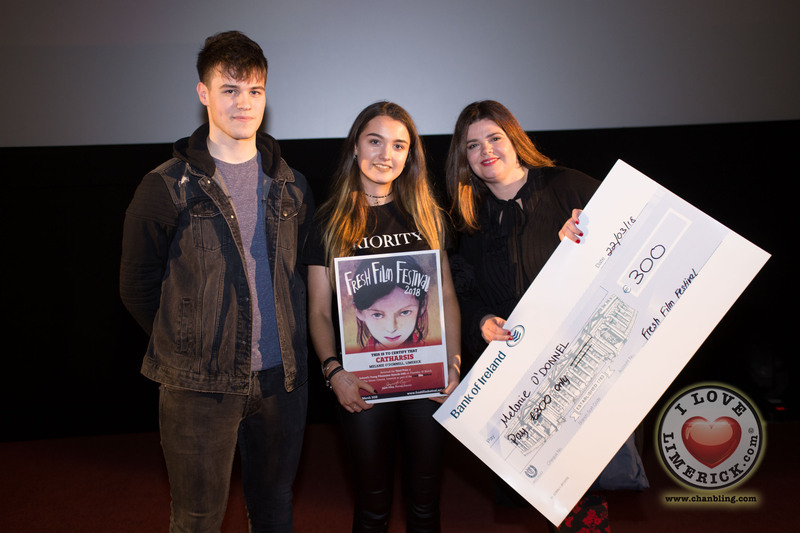 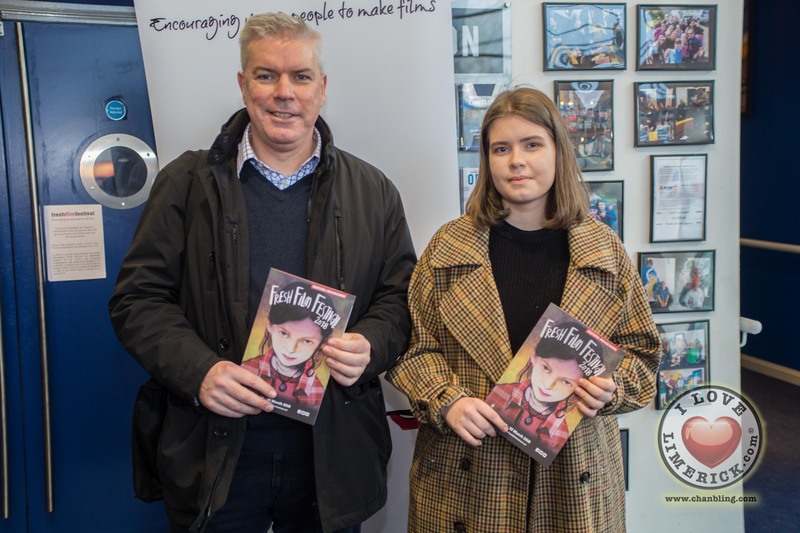 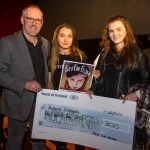 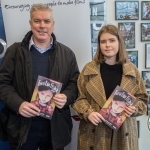 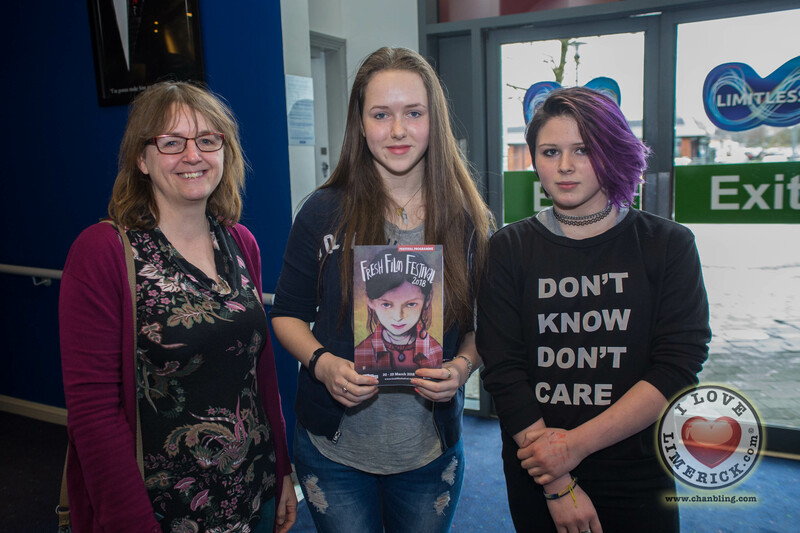 Melanie O’Donnell, aged 18 from Adare, Limerick took home third place for her film ‘Catharsis’, in which a young patient purges her mind through art with the help of her psychiatrist. 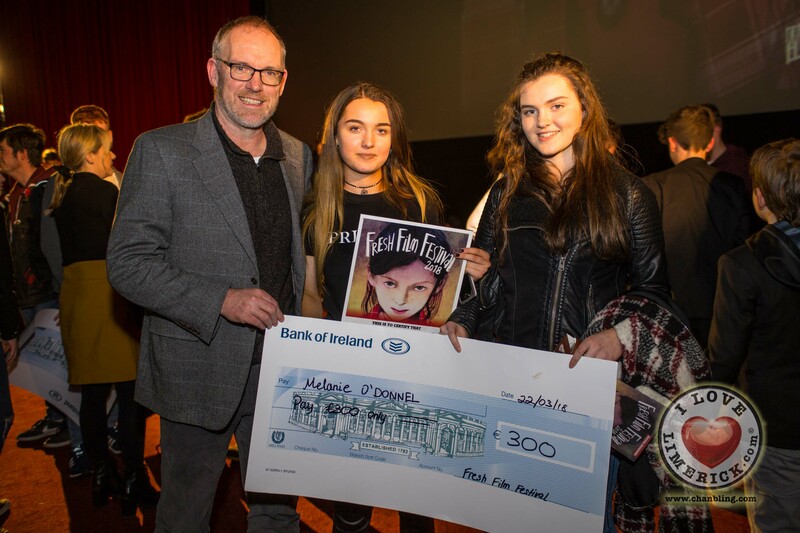 Speaking about her third place finish, Melanie said, “I’ve been making films for seven years and I have to say when it comes to making films, whatever age you are, you have to have perseverance, patience, and passion”. 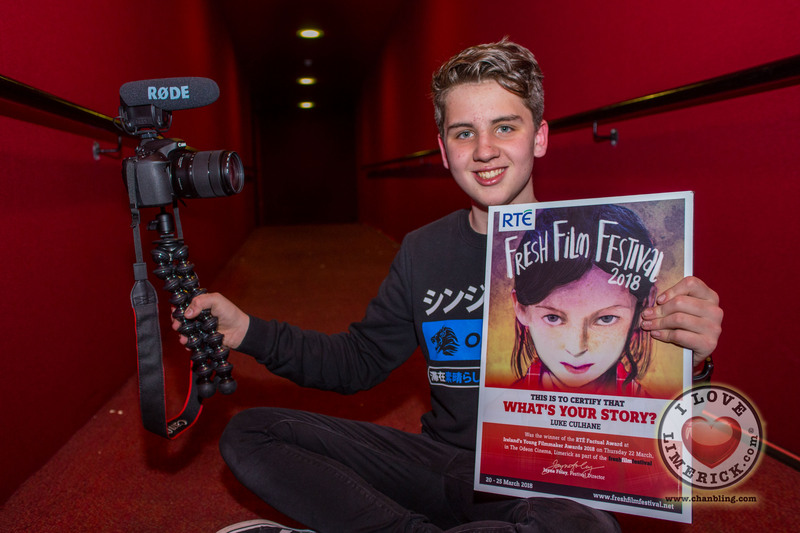 Limerick’s Luke Culhane, aged 15 from Castletroy, also took home the RTÉ Factual Award for his film ‘What’s Your Story?’. 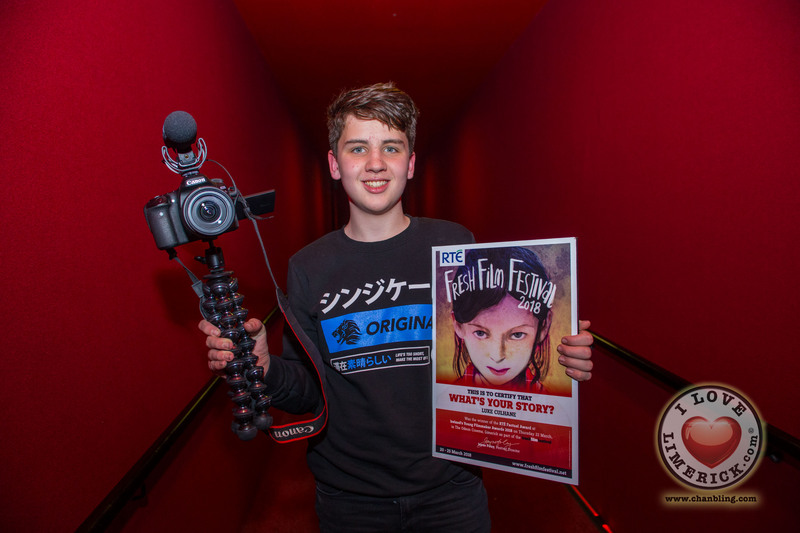 Speaking about his win, Luke said, ”I’m speechless. 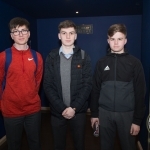 The standard was so high. 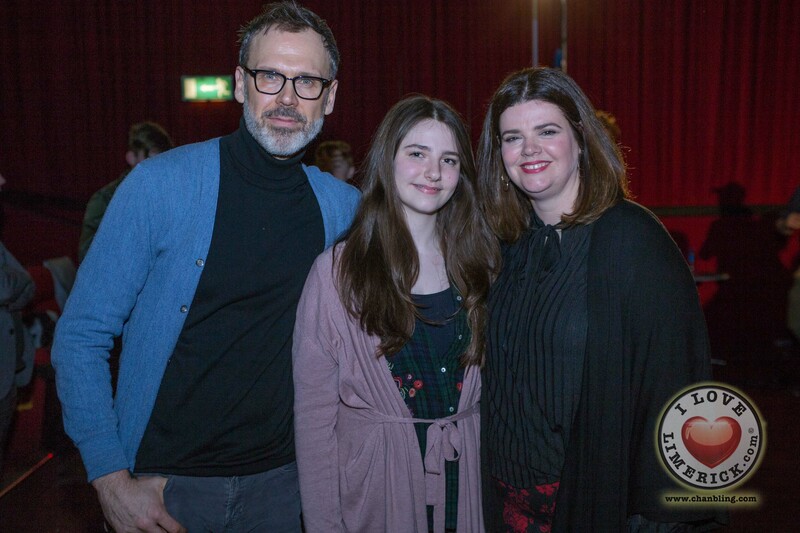 I have no words. 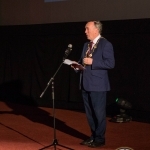 I’m really proud and honoured”. 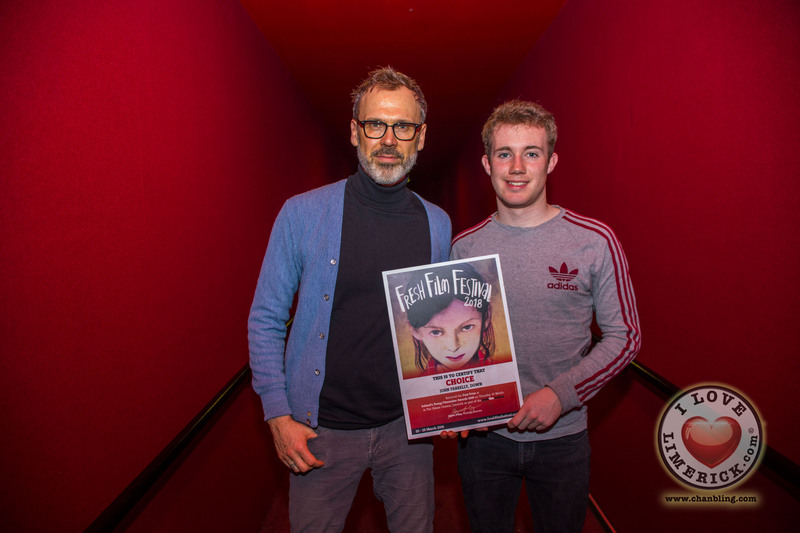 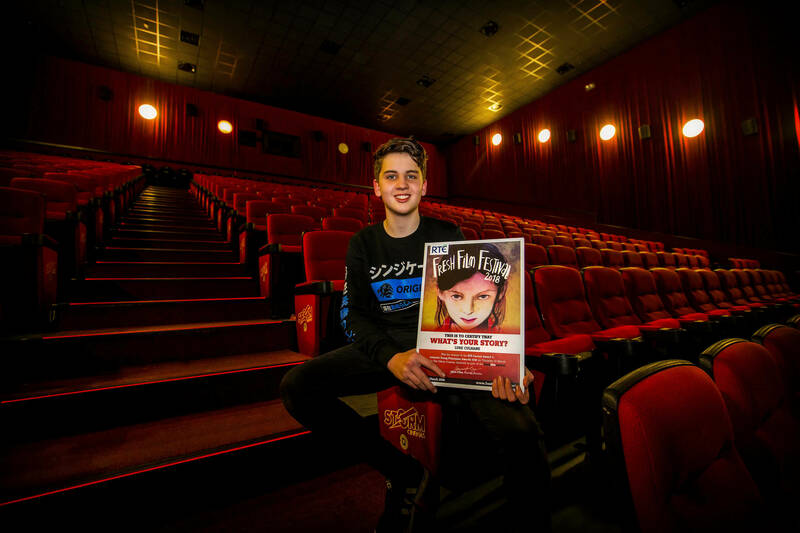 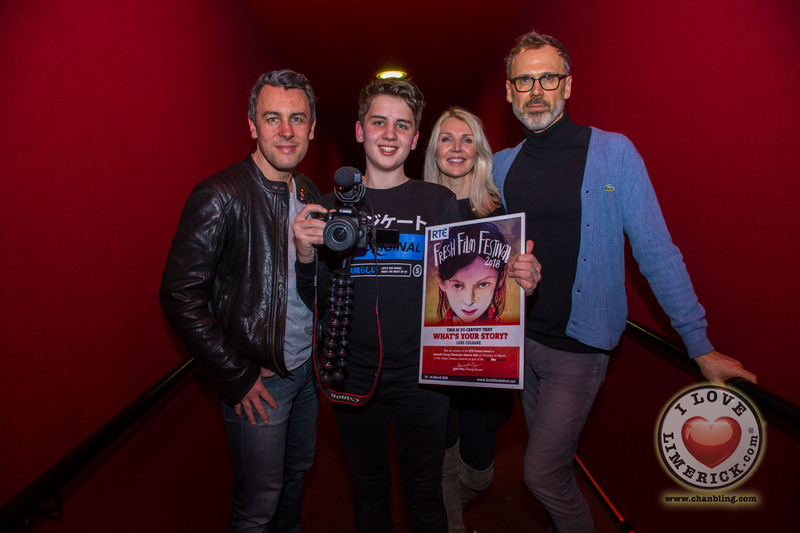 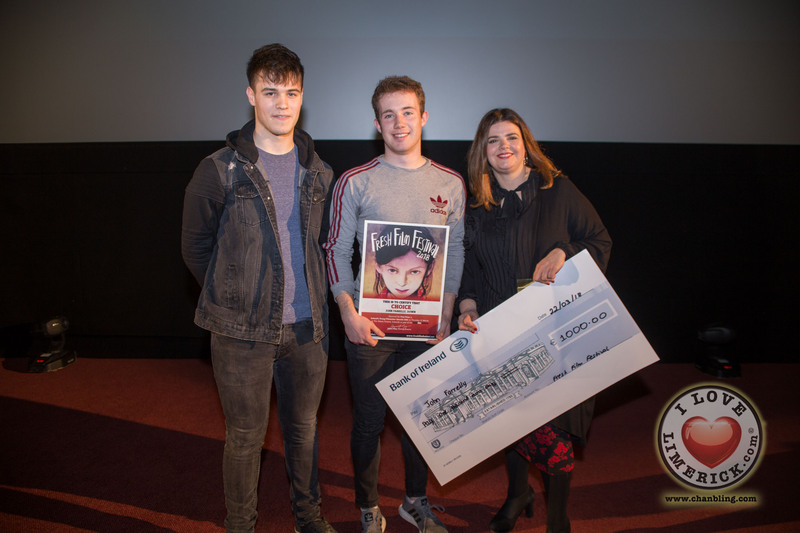 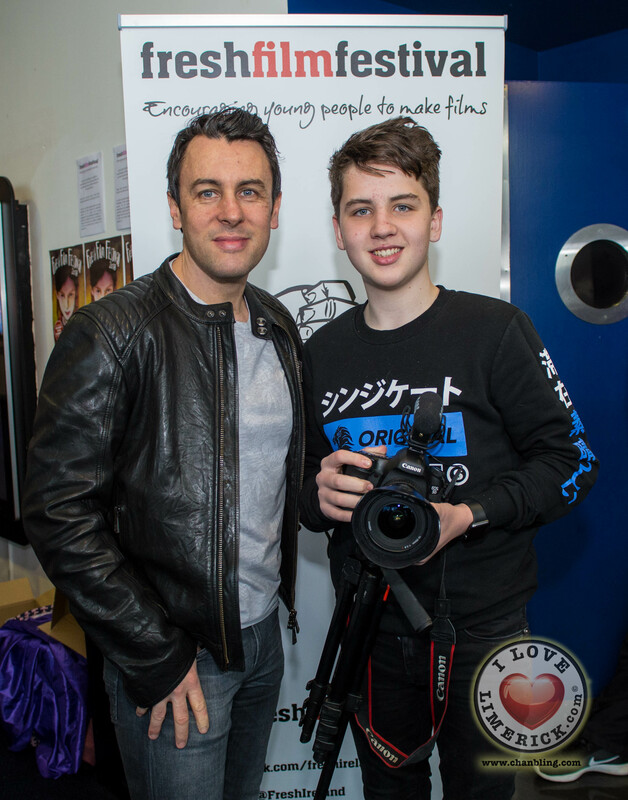 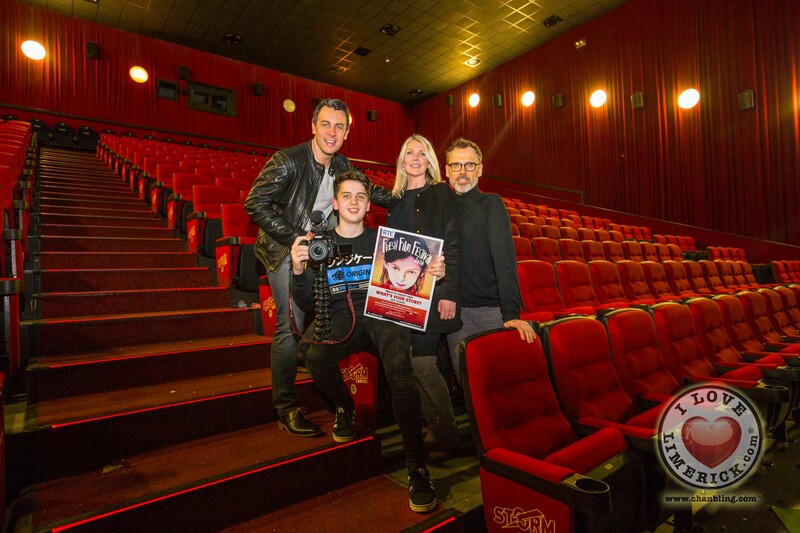 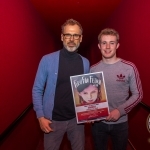 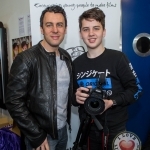 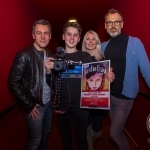 17-year-old John Farrelly from Warrenpoint, Down, took home the title of Ireland’s Young Senior Filmmaker of the year 2018 at the Irelands Young Filmmaker of the Year 2018 Senior Finals for his short film ‘Choice’, a boy suspects there is something not quite right with his life. 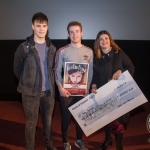 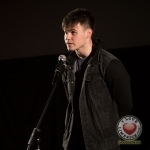 Speaking about his win, said, “I’m so glad I won Ireland’s Young Filmmaker of the Year 2018. 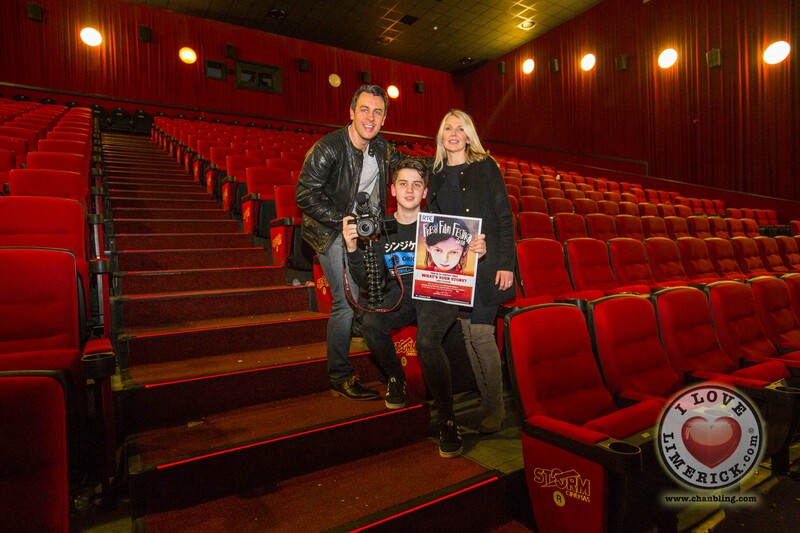 I worked really hard and the hard work paid off. 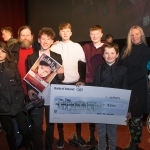 I would encourage anyone interested in film to enter next year as it’s a great opportunity and encourages young people to make films”. 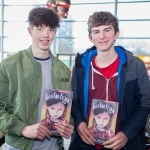 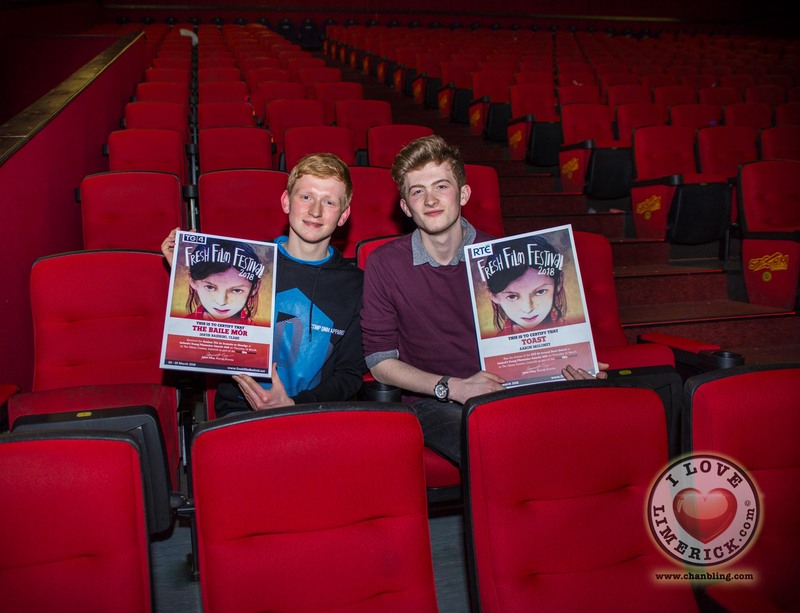 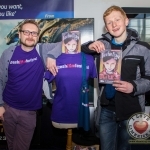 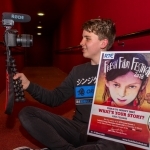 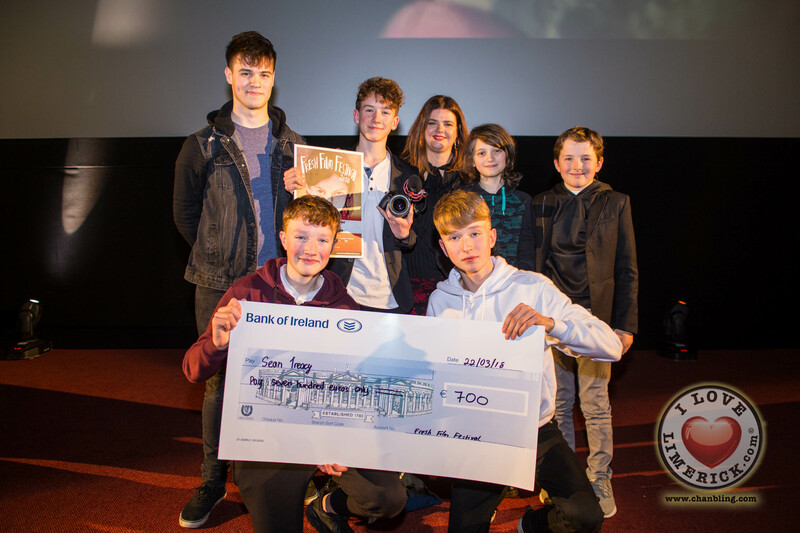 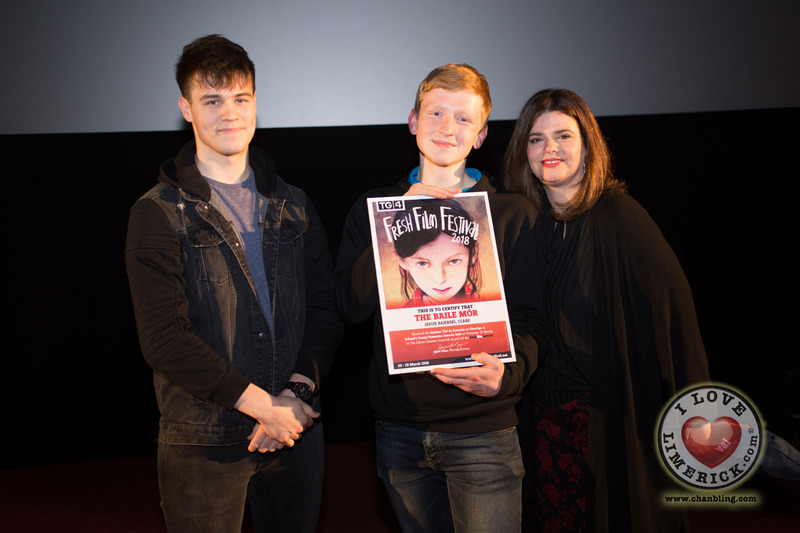 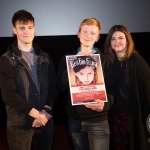 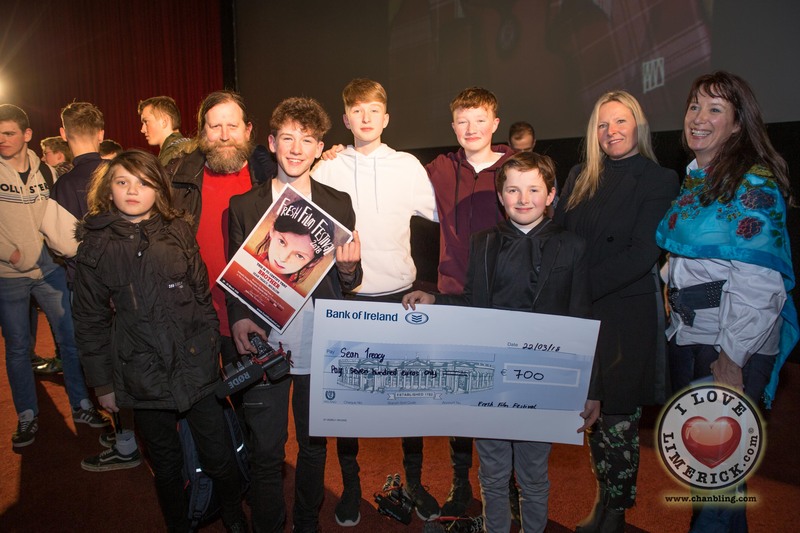 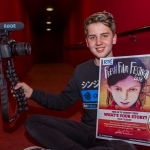 Sean Treacy, aged 13 from Ashford, Wicklow was the second place winner Irelands Young Filmmaker of the Year 2018 Senior Finals for his film ‘Brother’, in which two kids become unlikely friends after they forced to spend time together. 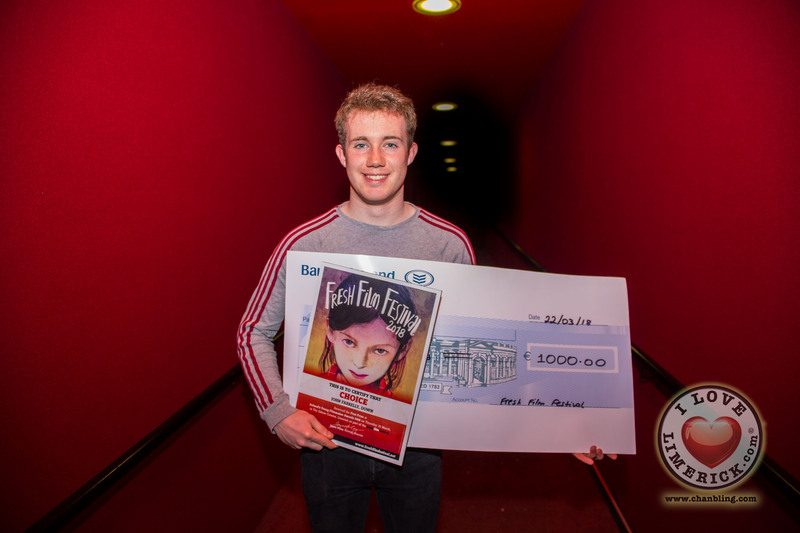 Speaking about his second place, Sean said, “Today has probably been one of the best days of my life. 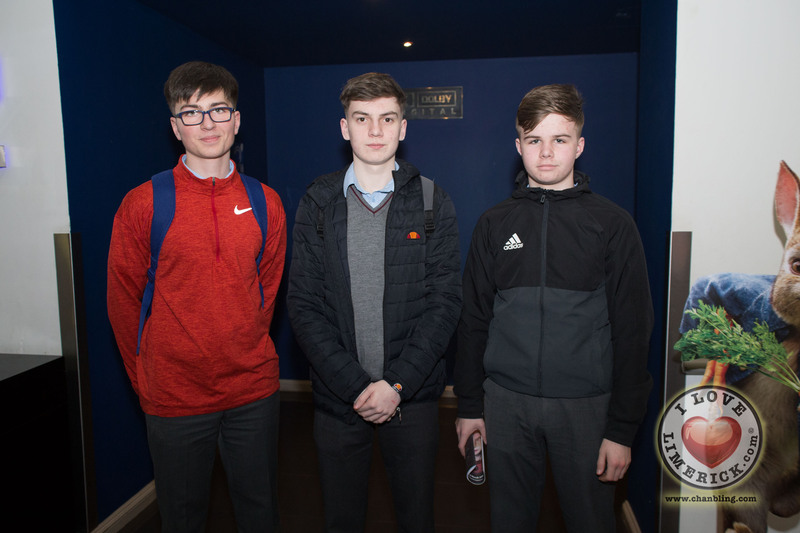 The standard was on a whole other level than I think anyone here expected. Fresh Film Festival is making so many stars here because the level of filmmaking was just amazing. 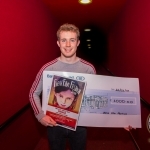 I’m so shocked and so blessed to have come second place”. 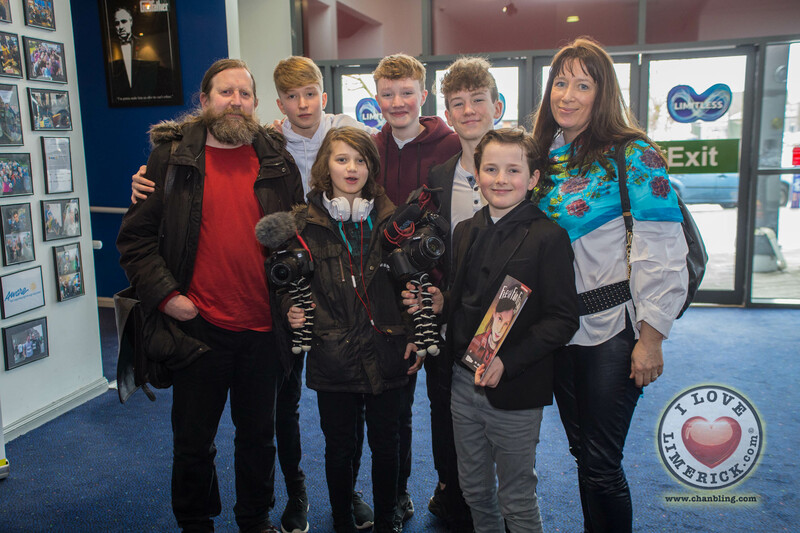 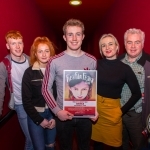 Melanie O’Donnell, 18, Limerick with her family who won third place at Ireland’s Young Filmmaker of the Year Awards 2018 Senior Finals which took place at Odeon Cinema, Castletroy Limerick. 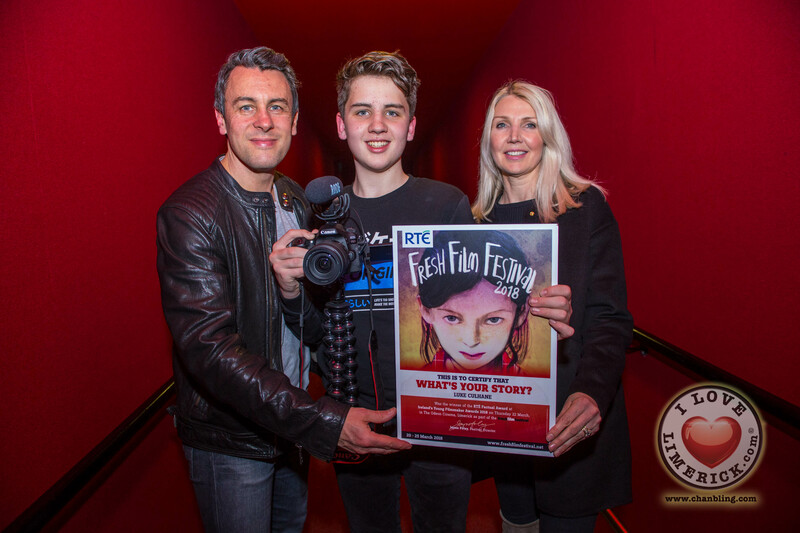 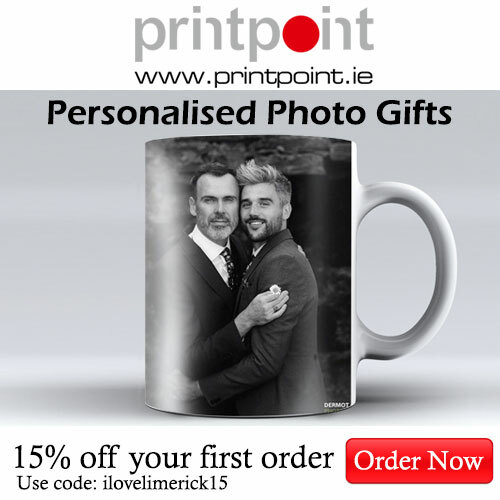 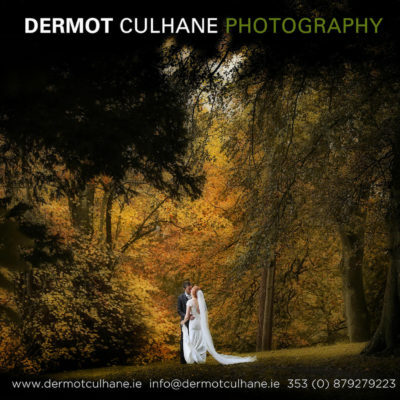 Picture: Cian Reinhardt/ilovelimerick. 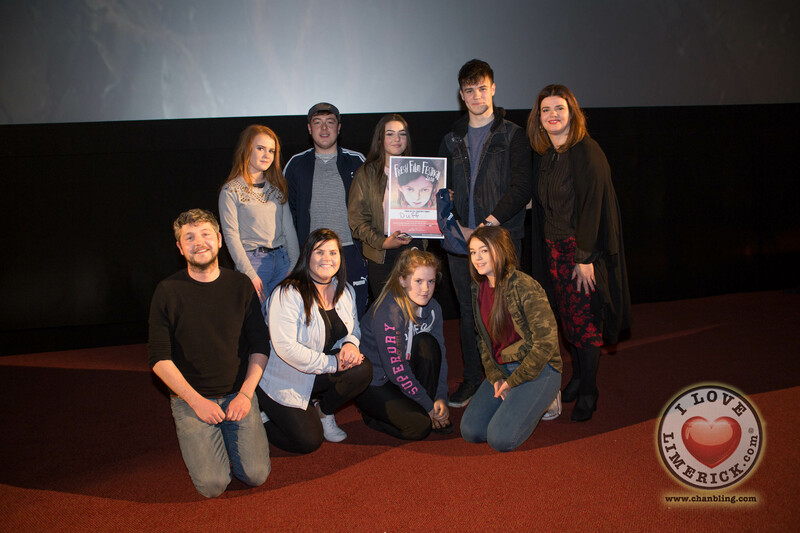 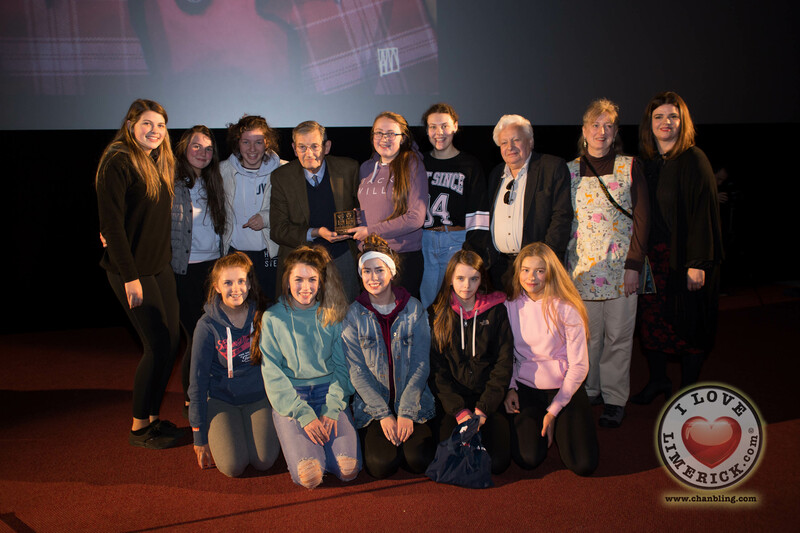 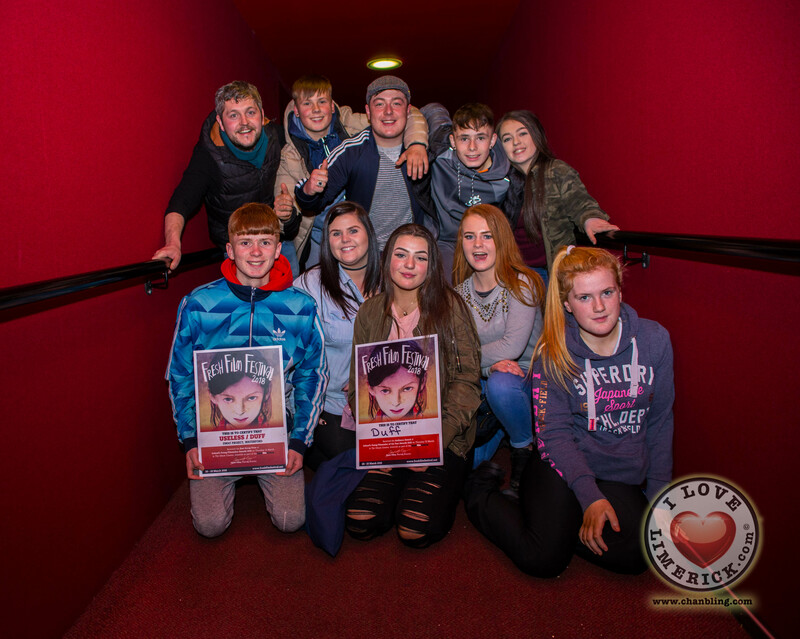 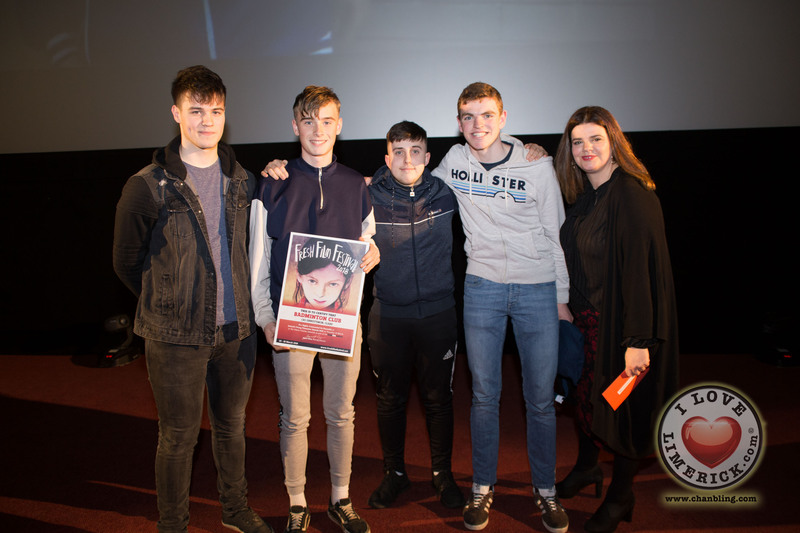 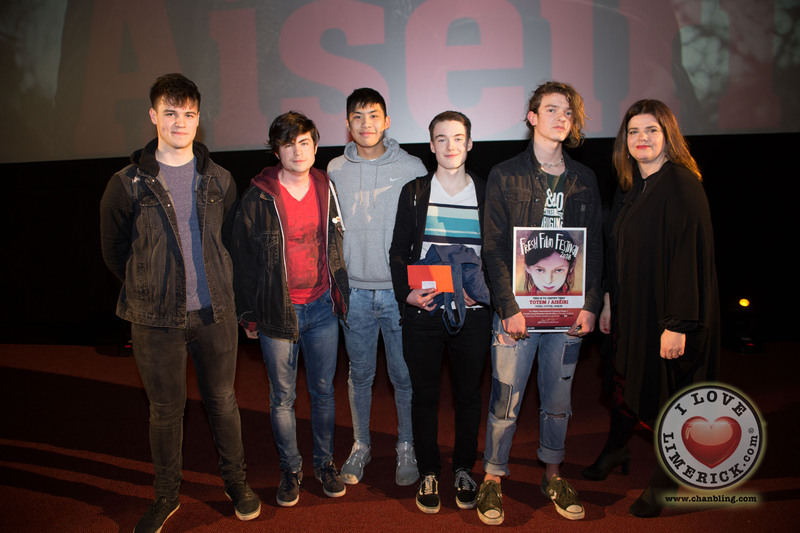 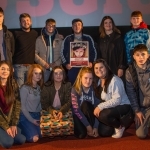 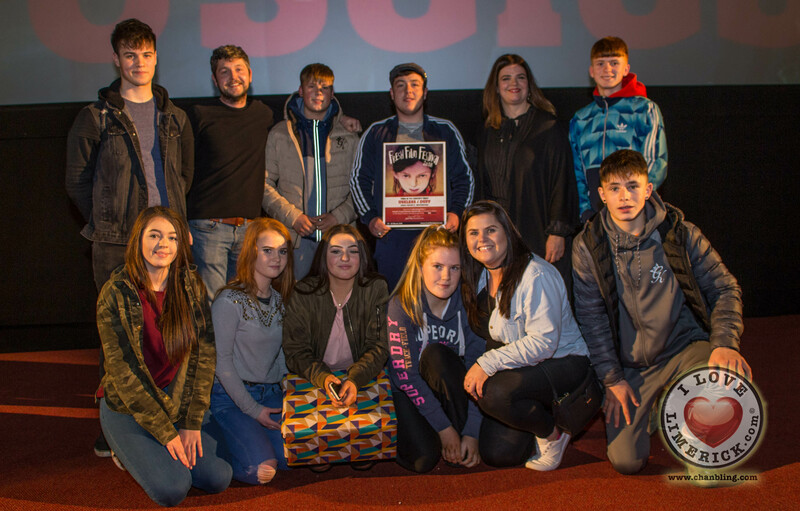 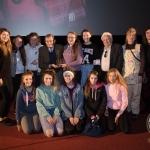 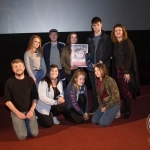 Waterford’s SWAY Project won Best Group at Ireland’s Young Filmmaker of the Year 2018 for their films ‘Useless’ and ‘DUFF’, with the latter also taking home the Audience Award on the day. 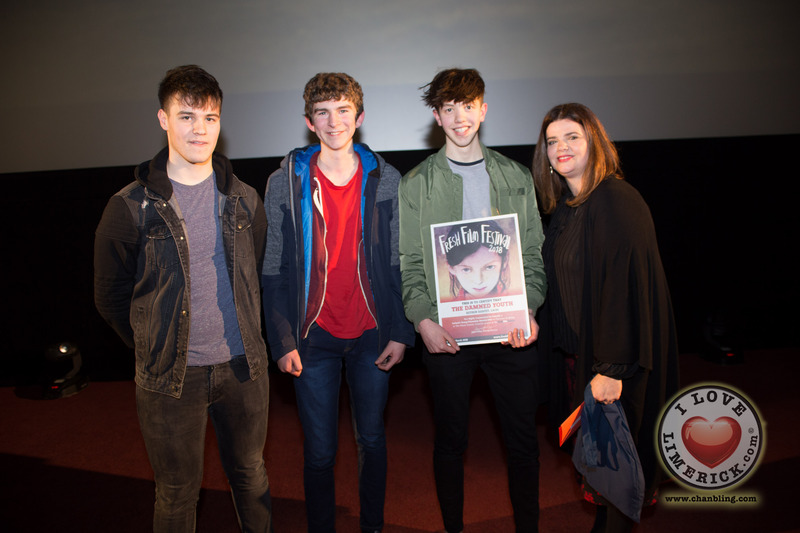 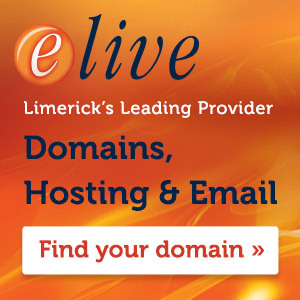 Speaking about their win, Youth Worker Eoin Dalton said, “We are delighted to win. 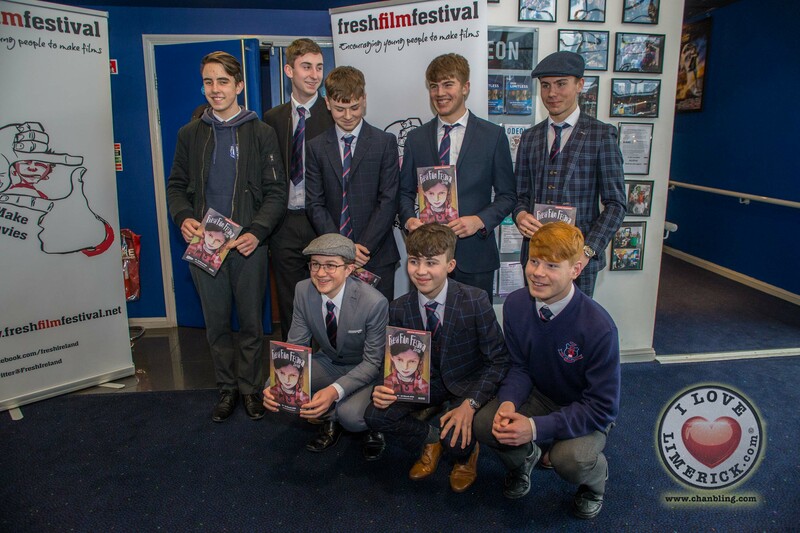 They are a great bunch of young people and they put so much work into their films and took their responsibilities as filmmakers very seriously”. 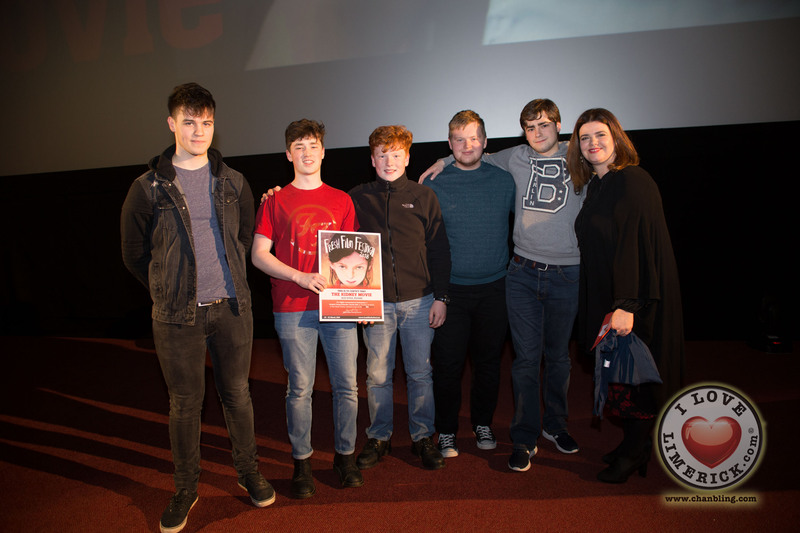 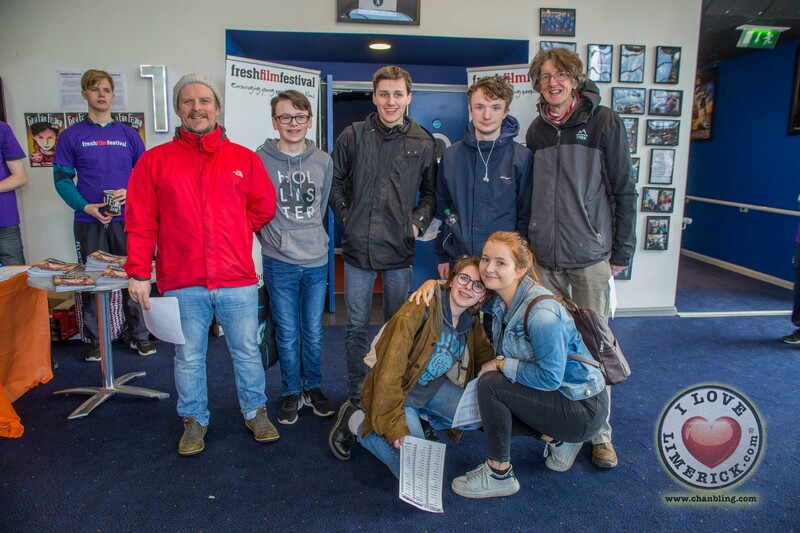 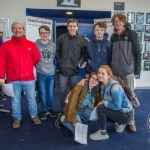 Other entries received highly commended honours on the day, including CBS Ennistymon in Clare for Ensemble, Jack Doyle from Kildare for Performance, Rueben Harvey from Laois for Comedy, Josh Lynas from Down for Direction and Dónal Cotter from Dublin for Production Design. 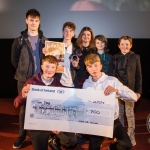 In addition to the Ireland’s Young Filmmaker of the Year awards, a number of specialist awards were presented on the day including Emily McGee, aged 18 from Kilkenny City whose film ‘Bird’ took home the Boulder Media Award for animation, and Aaron Moloney, aged 19 from Clonlara, Clare, whose film ‘ Toast’ won RTÉ 60 Second Award. 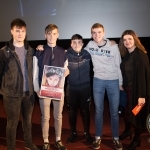 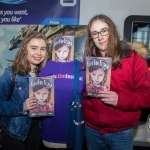 Additionally, Jakub Bajerski, aged 17 from Ennis, Clare, won the TG4 Award for the best film in the Irish Language for his film ‘The Baile Mór’, while Anna Murray, aged 16 from Loreto Secondary School in Fermoy won the Radharc Senior Award for her film ‘Traveller Life: The Reality’. 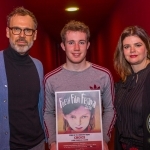 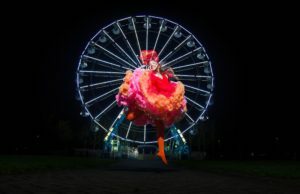 Ireland’s Young Filmmaker of the Year is the highlight of Limerick’s Fresh Film Festival, which is now in its 22nd Year. 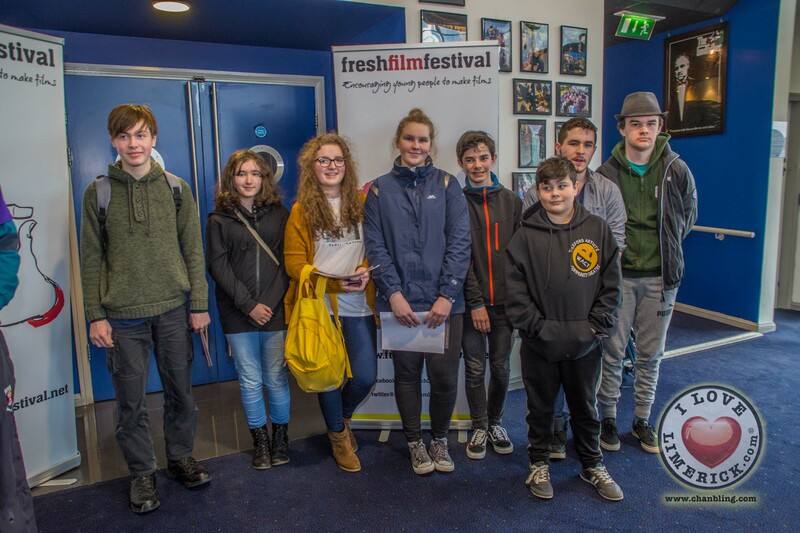 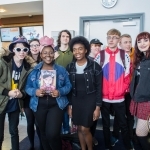 Other highlights of Fresh Film Festival 2018 include feature screenings and workshops including an animation workshop with Brazilian animator Alexandre Almeida Juruena De Mattos. 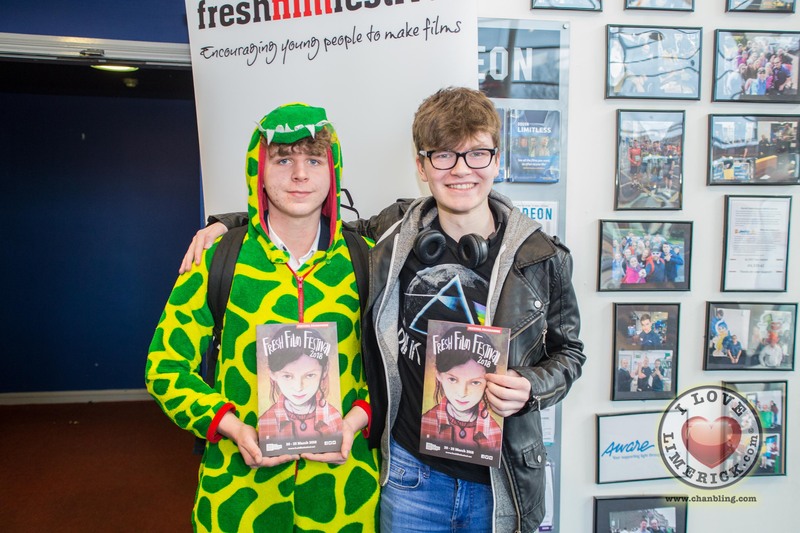 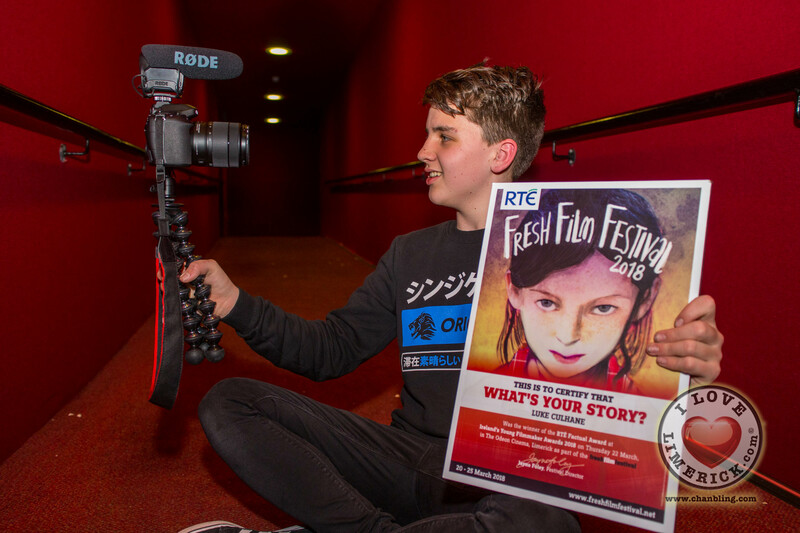 Fresh Film Festival encourages young people from Ireland and overseas, aged 7 to 18 years, to create, exhibit and share films. 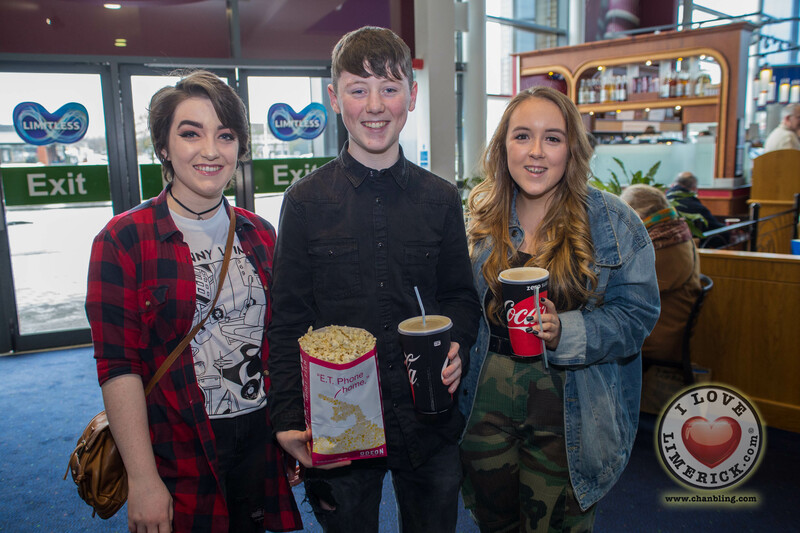 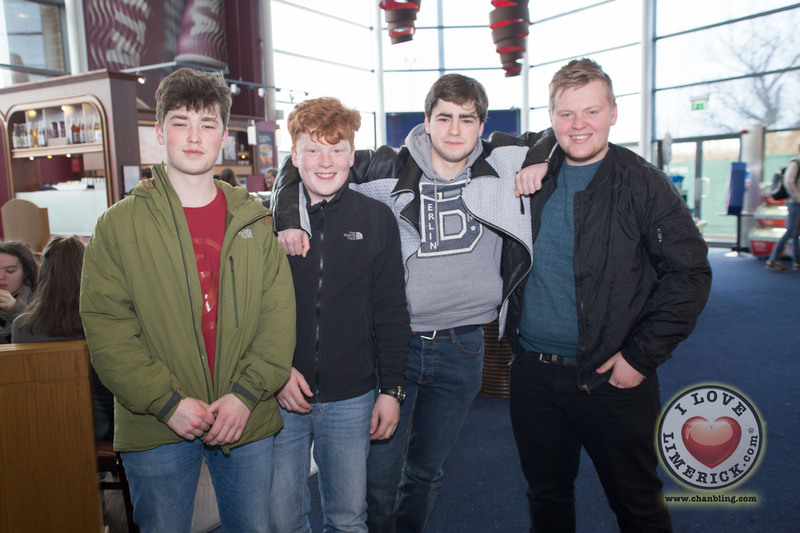 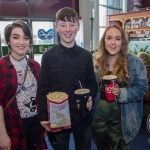 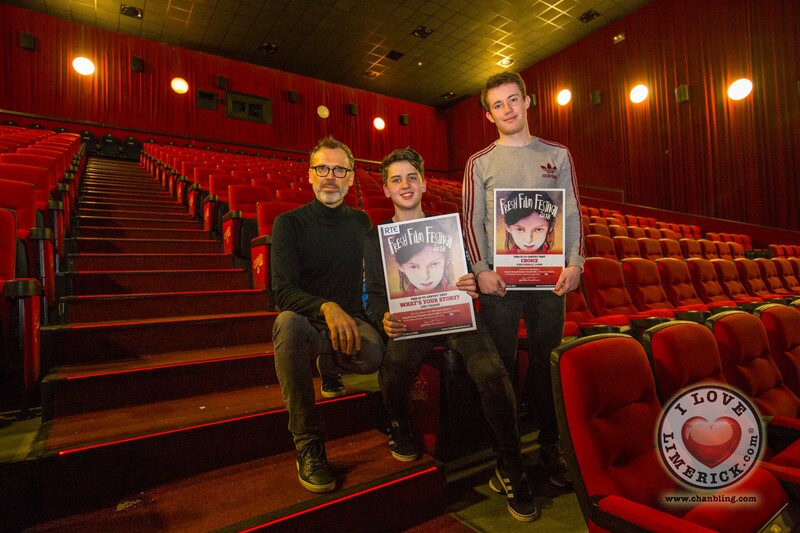 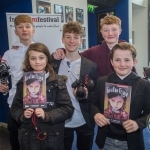 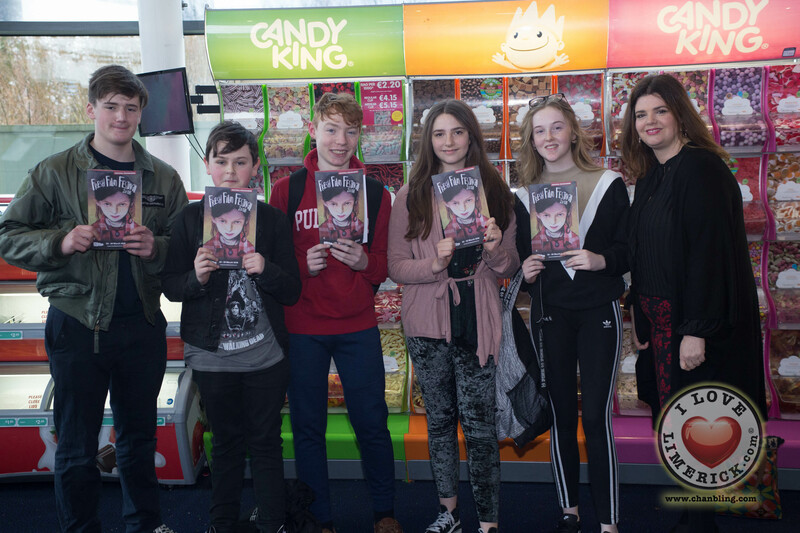 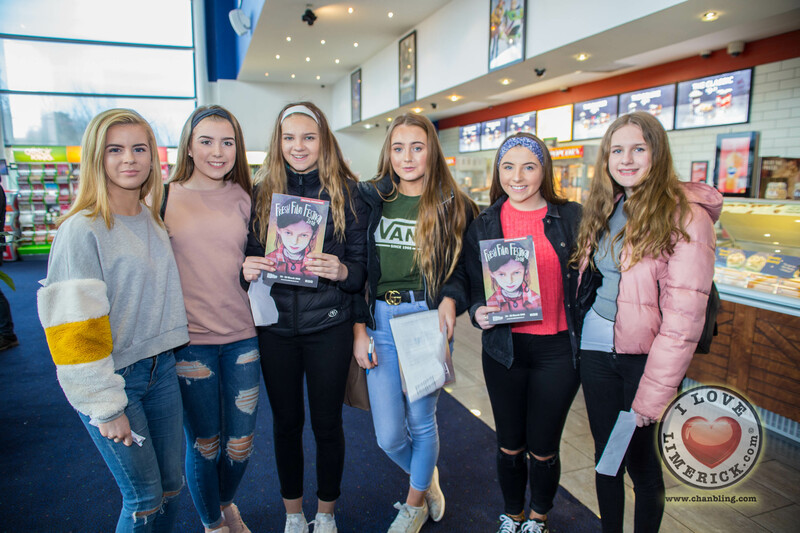 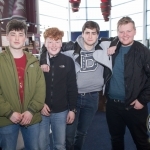 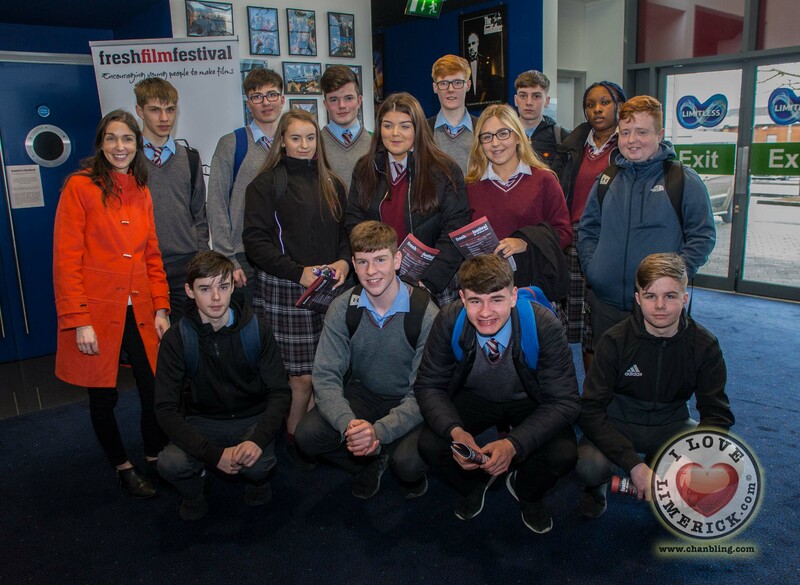 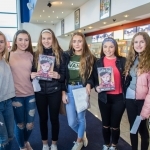 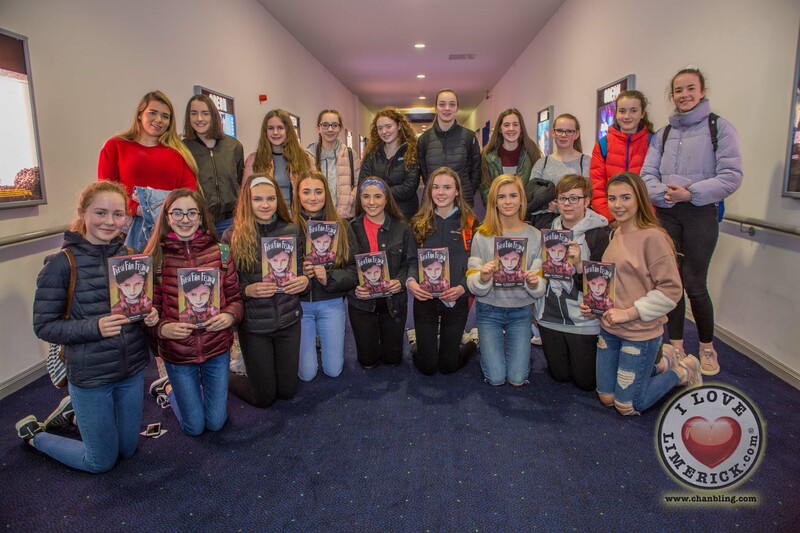 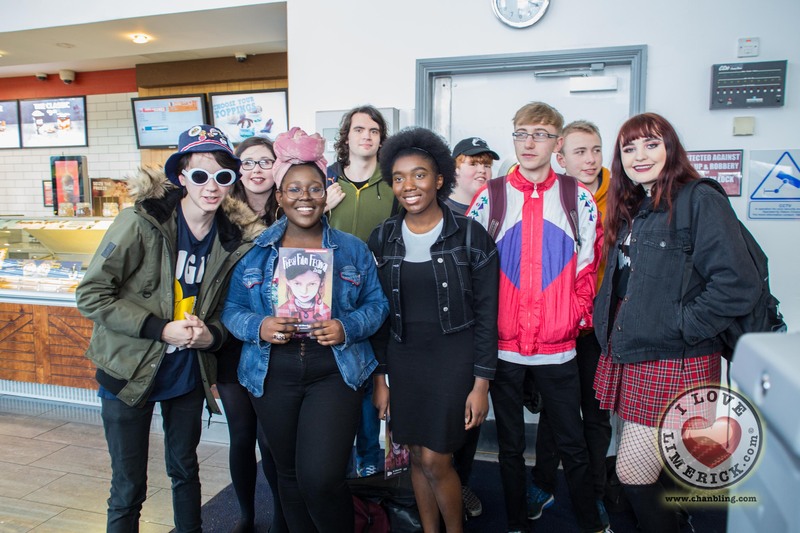 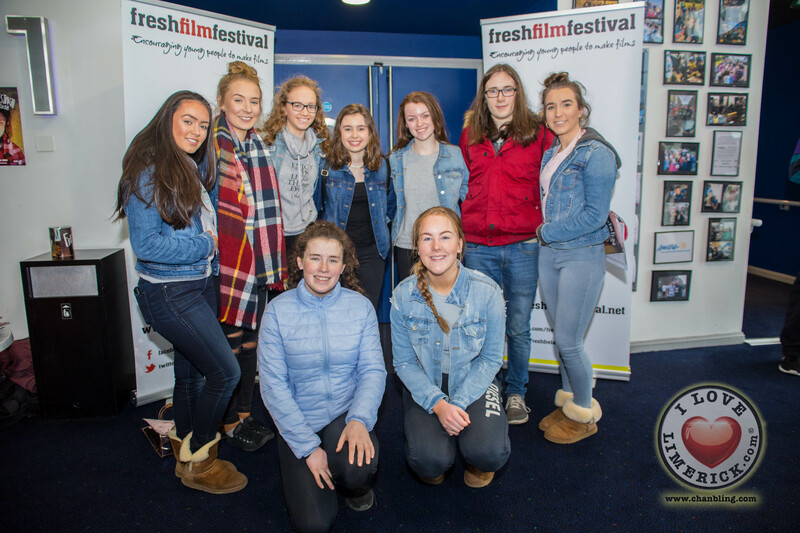 The festival provides an opportunity for these young filmmakers to have their work seen on a cinema screen for the first time and to compete for the title of Ireland’s Young Filmmaker of the Year. 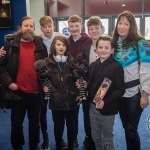 All films submitted are also considered for a range of Specialist Awards including the Radharc Trust Award (documentary), the Boulder Media Animation Award, the RTE 60 Second Short Film Award and the RTE Factual Award, in addition to the International and Audience awards. 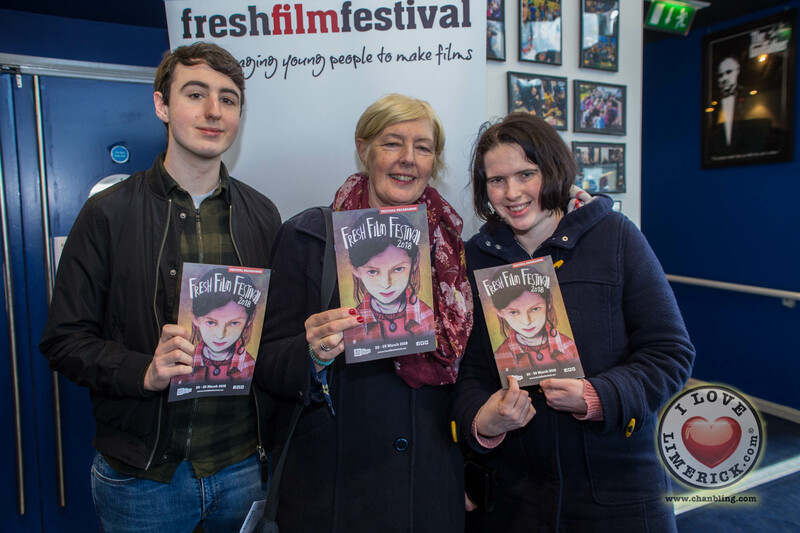 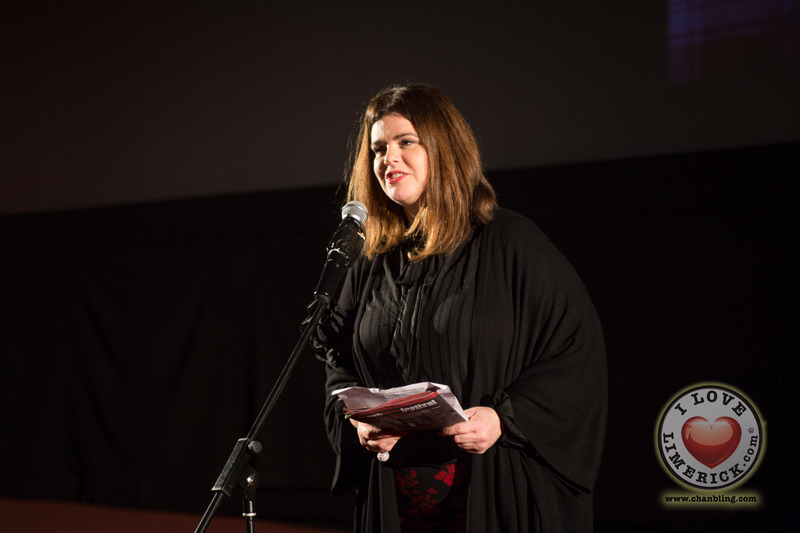 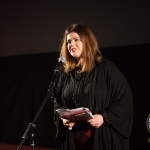 Reflecting on this year’s Festival, Fresh Film Festival Director Jayne Foley commented, “This is our 22nd Fresh Film Festival, so it’s a huge Festival this year. 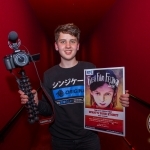 We’ve had 1,500 films from filmmakers all over the world. 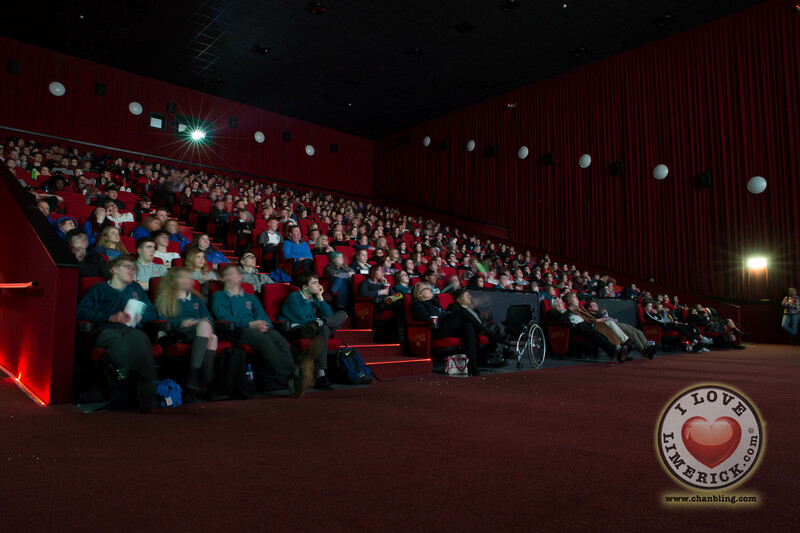 We are here with a packed, packed cinema, so it’s a great success. 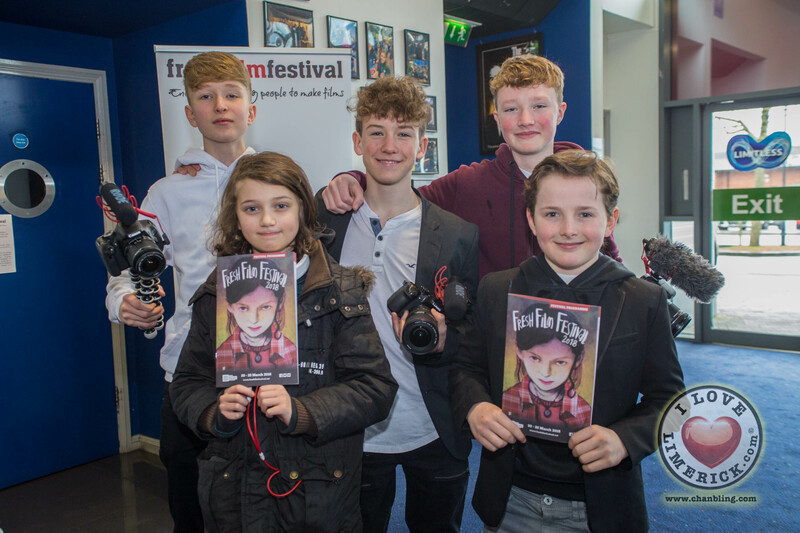 We are delighted to have all of these young filmmakers from around the globe joining us for the Festival this year”. 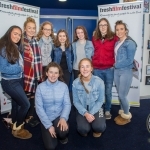 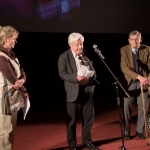 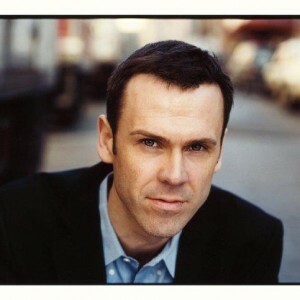 Further details about the Fresh Film Festival can be found here. 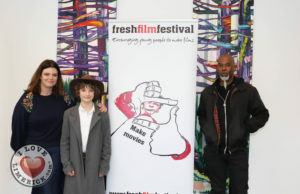 For more stories on the Fresh Film Festival, go here.